Hello! 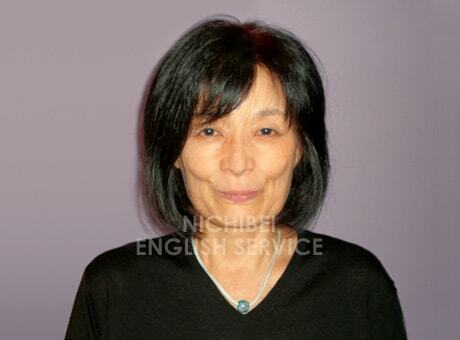 I have been enjoying teaching English here at Nichibei and meeting many interesting people. I lived in U.S. for more than seven years with my family. Communicating with people of different culture was an exciting experience. Learning English makes it possible for everybody to expand knowledge and recognition, opening a new world. I also teach medical English at a technical college and start my career as a professional translator in the medical field. I am looking forward to seeing you!